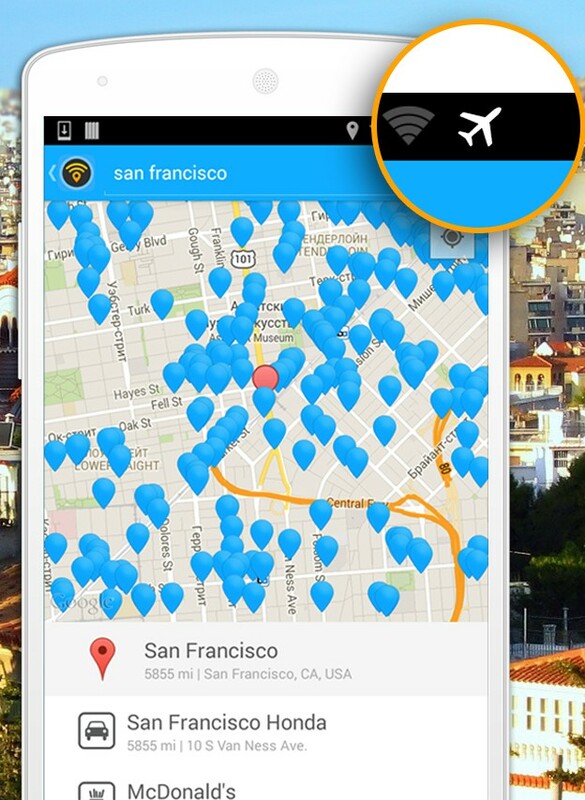 Looking for a Wi-Fi hotspot isn’t complicated, since your phone can find nearby networks. Walking around and searching that way isn’t optimal, although it’s a nice way to boost the step count on a health tracking device. Enter WiFi Map, an app for Google Android and Apple iOS that builds a crowdsourced database of public Wi-Fi hotspots around the world. WiFi Map comes in a both a free and Pro option in the iTunes App Store and Google Play Store. What’s the difference? The $4.99 Pro version is aimed at travelers who may not have mobile broadband access at all times; this edition helps them find Wi-Fi hotspots even while they’re offline. 2 million worldwide ain’t much – 2 million in CA alone maybe you’d find something. It doesn’t get good reviews on the app store. I wonder how much they paid GigaOM for this article. I’ve used this app before and loved it. It was a huge help on my latest trip to Europe. Guys did a great job! Great way to allow complete strangers to monitor all your internet traffic. My advice is never connect to any network provide you don’t trust. This is easy pickings. Point taken. That’s why I use a VPN on my laptop, iPad and iPhone whenever I jump on “free” wifi networks.